Upgrading various parts of the differential can have tremendous benefits in your car's performance. It's easy to forget that the differential is a source for making your car faster and handle better so it's often overlooked. The engine is not the only place to make the car faster. Our differential options vary from gearing upgrades to limited slip conversions. You can purchase the ring & pinion gear sets on their own (professional installation required) or have us build a diff around your own specifcations. The options are almost endless! Every custom-built diff is fully rebuilt with seals and bearings. We also design and supply bushing options to reduce driveline wind-up, finned differential covers for better cooling, and more! Ratio Changes - Changing the differential gearing is one of the best and most-effective upgrades you can make on any BMW (old or new). By using a shorter (numerically higher) final drive ratio you are increasing your RPM relative to road speed - this puts you in a more powerful RPM range than before! Since you're in a 'meatier' part of the power band you're now putting down more power/torque to the ground. If you can trade outright top speed for faster acceleration at daily speeds then this is the perfect upgrade for you. Limited Slip Upgrades - Sadly, many BMWs today are not equipped with a limited slip (posi-traction) differential. BMW has tried to compensate by using traction control that cuts power at the engine or applies the brakes to retard wheel spin (or a combination of both). But nothing beats the function and feel of a a true LSD which may be why BMW continues to use them in M cars. Our LSD upgrades can be done a number of different ways - a factory-type limited slip unit with either 2 or 3 clutch packs, helical type, OS Giken unit, or something truly custom. We can also vary ramp angles and setup to change the limited-slip behavior under acceleration, deceleration, and cornering. Need a custom diff? Call or e-mail to have a quote. You use a magnetic drain plug for your engine oil, right? Why not apply the same proactive thinking to the differential too? This is a direct replacement magnetic differential drain plug for your BMW. It will catch and retain fine and larger metal particles in your diff oil. If you're proactive in your diff oil servicing, you will catch a minor issue long before it becomes a headache. Diff drain plug includes one sealing o-ring. Over the years driving and racing the E46 M3 in Grand-Am racing, club racing, driving school events, and street driving, we have found that the half-shafts need to be rebuilt or replaced often. This is especially true of the outer CV joint (closest to the wheel bearing) due to the high loads on the half shafts and elevated temperature in that region. Thanks to our extensive experience in Grand-Am endurance racing, we have designed a kit to prolong CV joint life and save frequent and costly replacing of half shafts, on both street and track/race cars. The problem with rebuilding E46 half-shafts is that the CV joint ("Constant Velocity Joint") closest to the wheel bearing is not serviceable because a stamped steel housing must be cut off to access the CV joint. The housing cannot be reused, therefore necessitating replacement of the whole half-shaft. We have designed a reusable aluminum housing to make servicing the CV joint possible. 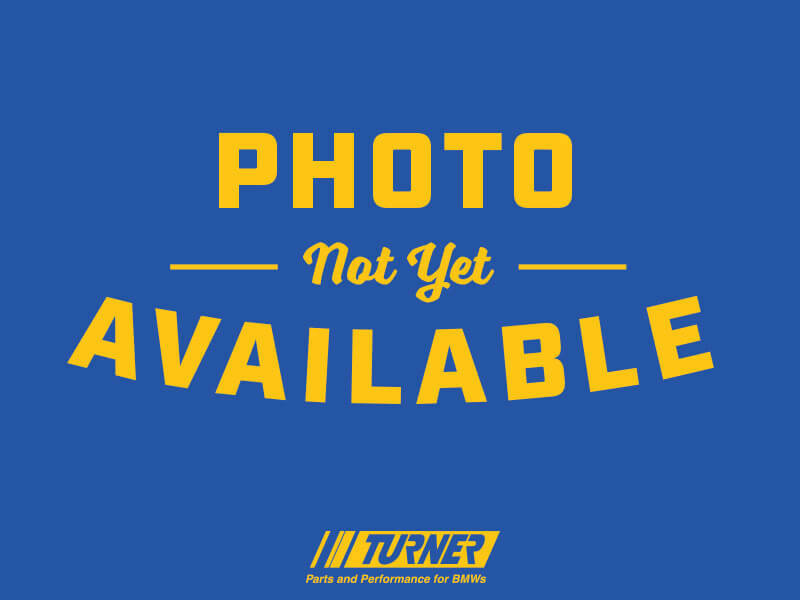 This is a custom Turner Motorsport item, originally designed for our championship-winning Grand-Am M3s. It can also be used in non-racing applications, for both track and street E46 M3s. If you are performing any work on the rear driveline of your E46 M3 (such as wheel bearings, differential work, bushings, rear sway bar / swaybar, etc) or are prepping for the race season, then now is an excellent time to perform this job as well. Kit includes 2 CNC aluminum housings (left and right are the same) with Black anodized coating, 12 set-screws (6 per housing), 2 Viton O-rings, 8 Oetiker clamps, and 4 stainless steel breather tubes (only required for race use). The OS Giken Super Lock LSD Gear Oil 80W-250 1 Liter FR is the OS Giken's very own special blend of gear oil which does an excellent job of lubricating and protecting your Super Lock LSD from failure. Through use of this high quality liquid, your Super Lock LSD will last much longer if regular oil changes are performed. BMW does not sell the differential mounts separate from the cover. And as with all rubber mounts, they will have to be replaced at some point, forcing you to also buy a new diff cover. This is an Original BMW part. **Note** - a paper gasket is not sold with this cover. BMW no longer uses paper gaskets - they advise the use of a silicone sealant such as RTV black. Hands down - one of the best performance upgrades you can make to an E46 M3, E60 M5 or E63/E64 M6! With almost no downside you can make your BMW much quicker by swapping in a new ring & pinion gear set. The gearing used to be overlooked when planning modifications but the 3.85, 3.91, and 4.10 gears are now one of our biggest selling upgrades for the E46 M3! With a rear end gear upgrade you get the effects of adding horsepower but without adding any more stress to the engine or drivetrain. It's one of the best areas to get return from your modification spending. Using a shorter (numerically higher) gear ratio will give you better acceleration. The R&P acts as a torque multiplier, putting the engine into the power band sooner for each gear. There is an 6% increase in torque at the wheels with the shorter R&P. Want to make your car faster off the line or out of corners? Or avoid a downshift to pass on the highway? This is what you need. The R&P can be installed on its own but for cars that have more than 60,000 miles it would be a better idea to rebuild the whole diff. The factory viscous limited slip units have a typical lifespan of 50-70,000 miles. We offer diff rebuilding with 3.85 or other gear options and you get a fully-rebuilt and serviced limited slip unit at the same time. Click here for our diff rebuild options. Why 5th? Because 6th does not have the mechanical advantage to get past wind resistance at these speeds - it is more of a cruise/overdrive gear. Using 5th for comparison purposes is much more relevant than having to take into account wind direction, resistance, grade, elevation, tire sizing, etc. These numbers are for comparisons among gear ratios only, not to determine what your M3 will top out at. This item is the genuine BMW part and the ring & pinion set only. You will need to have this professionally installed into your existing differential. BMW does not supply differential rebuild parts (bearings, shims, plates, etc.) so only a qualified shop that is experienced in BMW diff rebuilding should perform this installation. We also offer built differentials and exchanges, click here. Replace your leaking differential input seal with this Genuine BMW part. Whenever service is performed on the differential it is a good idea to check / replace any seals. This seal measures 50mm X 80mm X 9mm. We also recommend you replace the securing plate # 33121205138 at the same time. This aluminum diff cover is off the Z4 Roadster and features fins on the underside for improved cooling. This is an absolute must for any E46 that sees track time, especially with an LSD installed. This is a direct bolt-on with the existing bolts and all drain and fill plugs transfer over as well. BMW recommends sealing the cover to the diff with black RTV silicone (no gasket). If there was a Top 5 list of things to do on the E46 M3, a shorter gears would be in the top two... The gearing used to be overlooked when planning modifications but the 3.91 and 4.10 gears are now one of our biggest selling upgrades for the E46 M3! With a rear end gear upgrade you get the effects of adding horsepower but without adding any more stress to the engine or drivetrain. The R&P acts as a torque multiplier, getting you into the power band sooner in each gear. It's one of the best areas to get return from your modification spending. The shorter (numerically higher) rear end gears will give you better acceleration in all gears at any speed with few downsides. Want to make your car faster off the line or out of corners? Or avoid a downshift to pass on the highway? This is what you need. This 4.10 is the latest version from BMW Motorsport - shot peened and hardend for increased strength. The R&P can be installed on its own but for cars that have more than 60,000 miles it would be a better idea to rebuild the whole diff. The factory viscous limited slip units have a typical lifespan of 50-70,000 miles. We offer diff rebuilding with 4.10 or other gear options and you get a fully-rebuilt and serviced limited slip unit at the same time. Click here for our diff rebuild options. One of the best upgrades to be made is custom building a differential. There are a lot of options to make improvements to the diff including gear sizing changes, added limited slip units, and limited slip lock-up options. It's easy to overlook the differential when planning your car's upgrades but it's one of the best areas to get return from your modification spending. Using a shorter (numerically higher) gear ratio will give you better acceleration and the limited slip effect will help get that power to the pavement. Changing the limited slip lock-up will change how the car behaves in corners - low lock-up will introduce more wheel spin; a higher lock-up will give more grip to the rear wheels but may induce an understeer condition (too much power pushing the car straight); a variable lock-up will give you the optimum balance. Our experience in diff building, car prep, and racing will ensure we get you the correct custom build for your specific driving conditions. Gearing Changes Using a shorter gear ratio (numerically higher) will give you better acceleration but will reduce your top speed. The higher ratio puts you at a higher RPM point for any given speed. This puts you further up in the power band, giving you more torque to the ground. Refer to the chart below for examples. These are just a range using three gear ratios (stock, middle, extreme). Speeds and RPM will obviously change in between ratios. Speed in 5th gear at 6,000 RPM is for theoretical and comparison purposes only. It doesn't mean that these speeds are actually reachable. Limited Slip Options. The non-M models of the E46, and Z4 did not come with a limited slip unit. Instead, BMW used either the ASC (Accelerated Slip Control) or DTC (Dynamic Traction Control) to cut engine power, apply the brake(s), or a combination of both. A limited slip operates independently from either of those systems. With the LSD installed the ASC/DTC systems do not engage as often. The LSD transfers torque mechanically to the opposite wheel. It will then allow some wheelspin before the traction control kicks in. If you turn off traction control you still have the torque transfer of the LSD working and then wheel spin. So you can get traction in the corner and some wheelspin out of it to facilitate rotation without engine power being cut by ASC. Our limited slip units are either 2 or 3 clutch 'factory type' units with a pre-set lock-up (usually 40-60%) or the multi-disc OS Giken 0-100% variable lock-up. Core Charge. If we are building a diff from our own stock a refundable core charge will apply until we get your original diff back. You have a maximum of 30 days from the time you receive the diff to send it back us for a refund. Click here for more detail and explanation of the core charge. FAQ: For a full FAQ on the custom diff process, click here. The M Dynamic limited slip unit on the M3 is designed to be a pure street car differential. It's simply not up to the rigors of professional or amateur racing. The OS Giken Super Lock LSD is giant step up in from a stock M3 lsd unit. It's ready for the extreme conditions of racing, offers 100% progressive locking capability, and is able to do this while operating smoothly and quietly. It's use of advanced technologies that make it perfect for both street cars AND pro race cars... and everything in between. We're excited to be carrying the OS Giken LSD unit in our performance catalog, as we've been using them in our own Championship winning M3 race cars. OS Giken incorporated revolutionary new ideas when developing the their own limited slip diff, utilizing their accumulated racing knowledge and experience and over 4 years of development. Their design uses an unprecedented number of friction plates (up to 28 total!) for better locking force, better engagement/disengagement, and less generated heat. The end result of their efforts is the OS Giken's OS Super Lock LSD which offers incredible durability and reliability on street and track driven BMWs. The use of highest quality materials, precise machining, forged gears and sound engineering makes this LSD durable and reliable enough for road racing performance (which we can personally vouch for!). This is such a great design, in that it can be used in any situation -- whether it's for a street car, or a 100% Professional race car. Zero break-in required. Super smooth and quiet engagement, and 100% progressive locking capability. Professional installation is recommended.